Let us at Starplan help you fulfill all your home interior dreams today, thanks to our Fitted Kitchens & Bedrooms Showroom Newtownabbey! 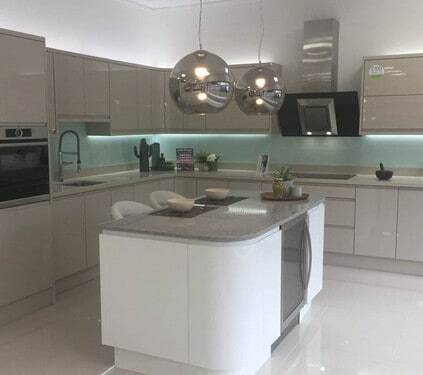 We have spent the past 40 years in the business making sure that you and all of our customers are getting the very best quality fitted bedrooms and fitted kitchens for the most affordable prices. Our fitted kitchens showroom has recently gone through a huge investment and renovation. Providing us with stunning results that need to be seen to be believed! It’s the perfect place to get some home renovation inspiration. As well as inspiring ideas, we also provide free kitchen design service. Just come in with your room measurements and our brilliant design experts can help you visualise what your dream bedroom or kitchen could look like. To help them along, our Newtownabbey showroom also has innovative 3-D design computers. So you can see the room transform before your eyes. 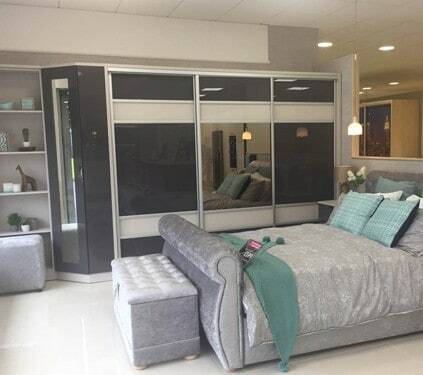 Not only do we have bespoke fitted bedrooms and kitchens on show, we also have a range of free standing bedroom furniture and a huge range of sliding wardrobes. 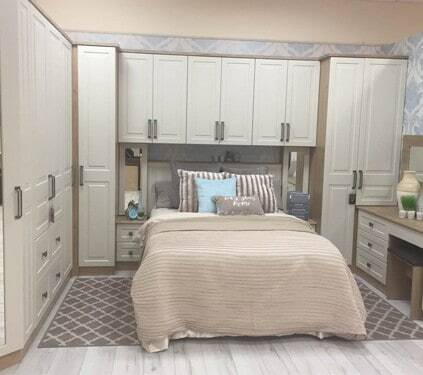 We at Starplan Fitted Kitchens & Bedrooms Showroom Newtonabbey understand that finding the time to come down and design your perfect rooms is difficult. And for that reason, we offer a complimentary home bedroom design visit! Sit back and relax while you let our fully trained bedroom designers do all the hard work. Our Abbeycentre Fitted Kitchens & Bedrooms Showroom has been a part of Newtownabbey and the surrounding areas for over three decades, which means we must be doing something right. Situated just off the A2, in the Abbeycentre retail park, we’re surrounded by a range of shops. So why not turn your visit into a whole day trip? For all your fitted kitchens, fitted bedrooms or free standing furniture needs, come down and see the friendly team today!